Texas is a state located in the southern and southwestern regions of the United States of America. With an area of 261,797 square miles (678,051 km˜) and a population of 23.5 million in 254 counties, the state is second-largest in both area, behind Alaska, and population, behind California. 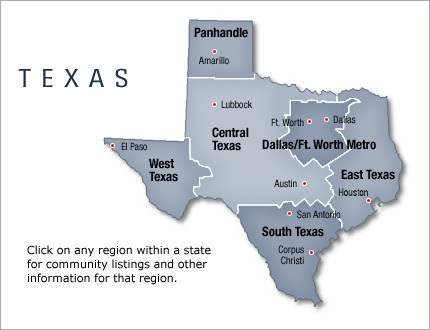 About half the state's population resides in either the Dallas–Fort Worth or Houston metropolitan areas. Texas is internationally known for its energy and aeronautics industries, and for the ship channel at the Port of Houston—the largest in the U.S. in international commerce and the sixth-largest port in the world. The state is home to the most Fortune 500 companies in the United States and has the second-largest economy in the United States. The Texas Medical Center contains the world's largest concentration of research and healthcare institutions.